Before we start, we first need to understand that for most Chinese through history, or the English for that matter, it didn’t matter whether a story was provable or not, or if the kings and generals in it actually existed. What was important about history and legend was the sense of identity it gave you and the lessons you could learn from it. Nobody really knows therefore which legend about how Mizong started is really the true version. All we know for sure was that all the branches in existence today trace their lineage back to a famous master called Sun Tong who was born in Shandong province in 1722. It is often claimed that Mizong may date back as far as the Tang dynasty. Some say it was created in the Shaolin Temple by a monk named Lu Junyi who fused Shaolin techniques with neigong. This master is said to have become famous both for his skills and for his unwillingness to take on students. The legend says that a young man called Yan Qing joined his household as a servant and spied on Lu while he was practising, secretly studying and copying him. One day while working in the fields, Yan Qing was forced to defend himself and the other servants when they were attacked by bandits. His secret was out, but rather than scold him Lu Junyi rewarded him by taking him as his sole disciple and training him properly. Yan Qing eventually took many followers himself, which they called Yanqing Quan in his honour, but were forced to change the name to Mizong Quan or “secret sect boxing” when they considered that both he and Lu Junyi were hiding from the authorities at the famous Water Margin bandit hideout of Lian Shang. Whilst hiding there he is said to have once evaded capture by leading the government troops who pursued him through a confusing maze of false trails. This is why one branch of the family writes the art in the characters Mizong Yi, or the “art of lost track”. This name is also often offered as being an allusion to the footwork in Mizong, which is deliberately deceptive. Another legend is that the system was created by another Shaolin monk called Qin Naluo who observed a troop of gibbons fighting in the mountains. He was impressed by their fluidity of movement and incorporated this into his own kung fu, which he named Nizong Quan, or “tribal animal fists”. Nizong eventually became Mizong as the two apparently sound similar when pronounce with a Beijing accent. Another version says that Qin NaLuo called his system Mizu Quan or “lost ancestor fists”. Another again says that the monk was in fact named Mo Jung. Another legend relates that two Tang Dynasty warriors called Yan Qing (not the same guy as above) and Cheng Zhijing killed someone by accident and entered the Shaolin Temple. They both became monks, and while inside the monastery they developed the style, which Yan Qing named it after himself and Cheng Zhijing called Mizong Quan, “secret sect boxing”. Shifu Lu Jun-Hai says his father taught him that Mizong definitely means “Secret Sect”, which is an allusion to the Shaolin aspect of its parentage. We follow his teaching and the version of events that our branch of the family adheres to is that Mizong as we know it today was created by Sun Tong in the 18th Century and probably incorporates earlier systems. Where that earlier knowledge comes from is the subject of speculation and legend, though the influence of the northern Shaolin temple is undeniable. 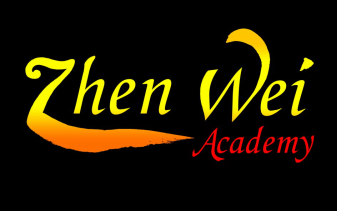 is a branch of northern style traditional Chinese kung fu. It is one of traditional martial arts’ great paradoxes in that it is both an internal and external martial art. 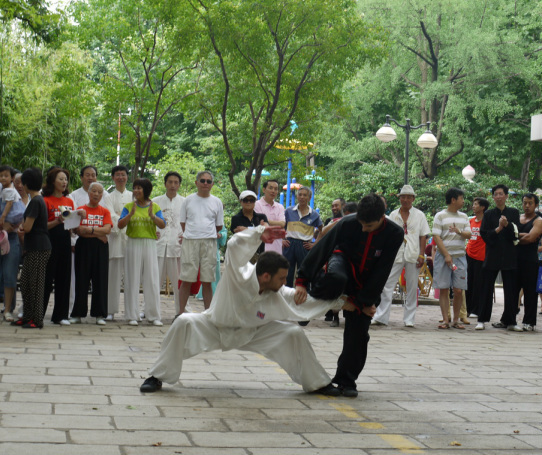 It has roots in both the Taoist and Buddhist traditions and the nominal division of traditional martial arts into these two branches is not really relevant to the Mizong practitioner, since there are no distinctions between the techniques. Mizong Quan blends the philosophy and empirical observations of the Taoist styles with the morality and discipline of the Buddhist ones; now soft and then hard, now slow and then fast. Training is rigorous and tough, reminiscent of Shaolin, yet the techniques are full of the economy, insights and wisdom of the Tao. The forms seem to explode with the frenetic energy of Shaolin, but with the looseness and softness of Taij. The snapping out of kicks and fists is ingeniously in concert with internal corkscrewing and cotton-reeling normally associated with Xingyi, Taiji or Bagua. Shaolin Mizong Quan is therefore an internal and external discipline. The emphasis in internal styles is the ability to listen and feel what is going to happen next and flow with it. It is difficult to do this if you are leaping about energetically kicking and punching. Most martial arts train you to do one thing or the other; a Mizong master can do both.